New Orleans is always rated as one of the most haunted cities in America. It has all the elements for paranormal activity to thrive. An ancient, below-sea-level port city segmented by the mighty Mississippi, it has a history of seamen, privateers and pirates passing through it. It’s where a cultural mix of people came in exile or to escape, putting down roots in fragile land surrounded by shadowy, primeval bayous of the Mississippi delta. It’s a place where people are buried in above-ground Cities of the Dead, of voodoo rituals, decaying buildings, dark alleyways, hidden courtyards, heavy humid air. Spirits of the dead roam in this unusual place where everything is shrouded in mystery and intrigue, veiled by glittering, feathered masks. On a nightly basis, legendary Bourbon Street has it’s share of spooky characters but Halloween in New Orleans is so much more. Throughout the city everyone gets into the spirit. There’s something going on day and night, for adults and kids. 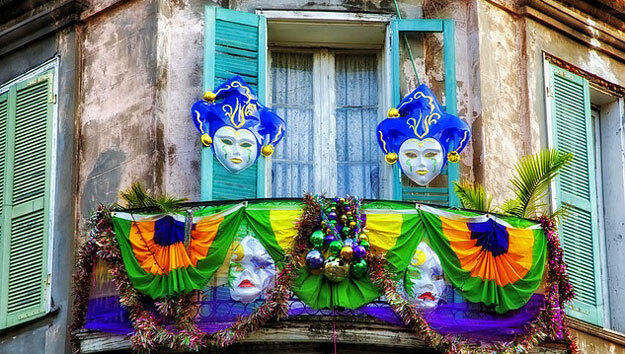 Walk in a Halloween parade through the French Quarter! Molly’s has been organizing this parade for ordinary people for years. Open to the public with a few minimal, not-so-fancy floats, it’s all about having a good time. Get in costume and queue up at Molly’s at the Market for the 7 pm departure on Oct 31st. While they take on a special aura during Halloween, haunted happenings are not once a year occurrences. Evidence of year-round paranormal activity is in the many haunted walking tours which weave their way throughout the French Quarter, the Cities of the Dead and the Garden District. Each tour offers a unique way to see the city’s sights while looking for ghostly and ghastly sightings on journeys where fact and fiction blur. Catch a glimpse into the spirit world without fear of running into something that goes bump in the night! 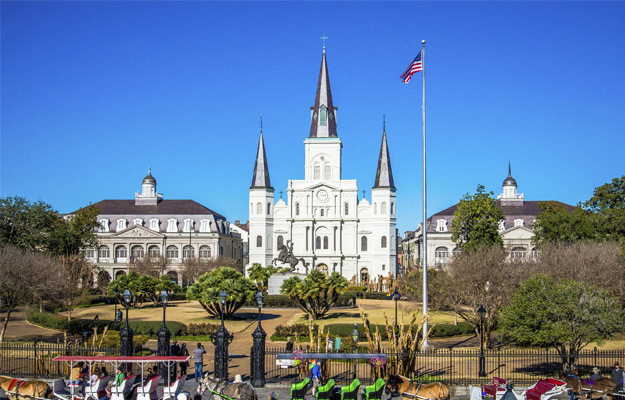 Ghosts & Spirits Nighttime Walking Tour: Hear the bizarre and the scary, visit haunted sites, including Bourbon Orleans Hotel where paranormal activity still occurs. Everyone knows bars are big in New Orleans; few know many are haunted. 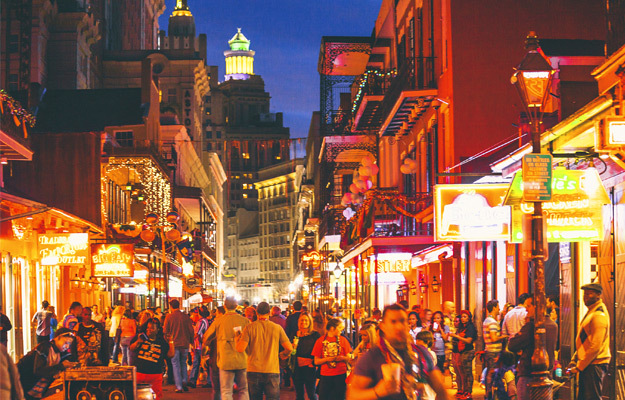 It comes as no surprise that many bars located in crumbling buildings and down dark alleys throughout the French Quarter are filled with layers of legends and lore of paranormal encounters. The list is long. Some bars are ones which have been open for generations; others are newer, housed in old buildings where stubborn spirits refuse to leave despite trendy renovations. What these bars have in common: strange footsteps coming from attics, haunted mirrors, cold spots, pool balls moving on their own, knives flying, glasses moving down the bar, eerie sounds, pianos playing although no one is playing, mysterious hovering orbs and floating diaphanous figures. 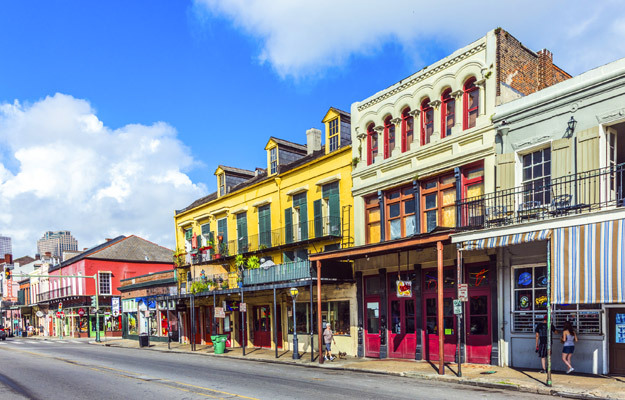 Some of the best known: Pat O’Brien’s, Lafitte’s Blacksmith Shop, The Old Absinthe House, Café Lafitte in Exile, Alibi Bar, The Bourbon Pub, O’Flattery’s Irish Channel Pub, Kerry’s Irish Pub, Ye Olde Original Dungeon, Yo Mama’s Bar & Grill, Bourbon O in haunted Bourbon Orleans Hotel. Halloween in New Orleans is not just for adults – it’s for families and kids too. Jean Lafitte Swamp Tour. While not billed as a haunted tour, an airboat ride deep into dark, mysterious bayous 25 miles from New Orleans, can feel like one! Ancient-looking cypress trees draped in ghostly moss, odd-looking cypress “knees” protruding from murky waters, occasional glowing alligator eyes peering from just above the water surface can feel really eerie. Cajun guides, whose families have lived deep in the swamp for generations, make it an interesting, fun adventure for everyone. (1 hr. 45 min tours: 10 am & 2 pm) Don’t want to drive? Op for the tour with hotel pick up with Jean Lafitte Swamp Tour with Transportation.